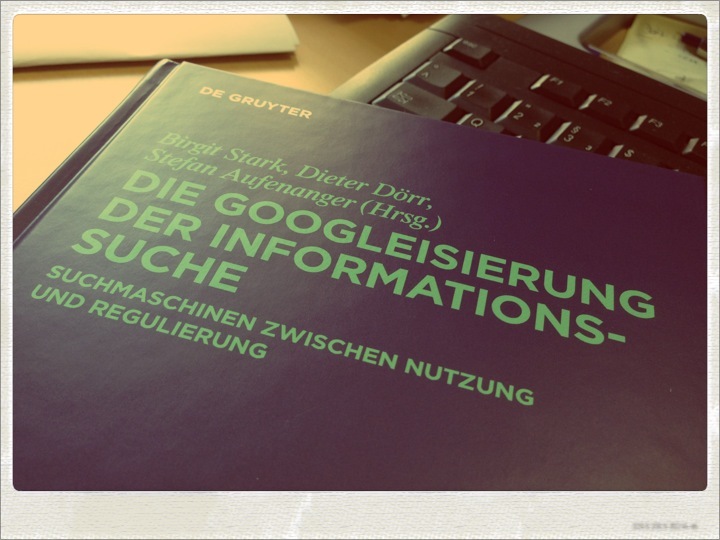 I’m really looking forward to reading it since it not only contains contributions on search engine use and the filter bubble, but also articles on the regulation of search engines and alternative tools; issues I’m dealing with in my current project too. Thank you Birgit Stark, Pascal Jürgens et al. for putting together such a great volume! Information and communication technologies (ICTs) emerge along with hegemonic discourses, socio-political cultures, everyday practices and identities. Search engines, social media, wikis, open access portals, semantic software, surveillance tools, and code in a wider sense, are created not only by programmers and technical people, but also negotiated in wider society. Policy makers, law, media discourses, economic rationales, cultural practices, computational infrastructures and algorithmic logics are all taking part in the negotiation of ICTs. At the same time, they also create, stabilize and change cultural meaning, socio-political relations and materiality. ICTs and social power relations thus co-emerge. • How are ICTs negotiated in design practices and wider socio-political frameworks? • What actor-networks, practices and arenas are involved in the creation of ICTs? • How are norms, values, and hegemonies inscribed in algorithms, code and software? • How are power relations enmeshed in such infrastructural materials? • What politics (e.g. gender relations, race biases, commercial dynamics, ideologies) do ICTs carry? • How can we investigate the micro-politics of artefacts? • What social, political, economic, cultural implications and challenges do ICTs cause? • How can we open up, investigate and renegotiate the politics of ICTs? • How can we work towards value-sensitive design and responsible innovation in ICTs? 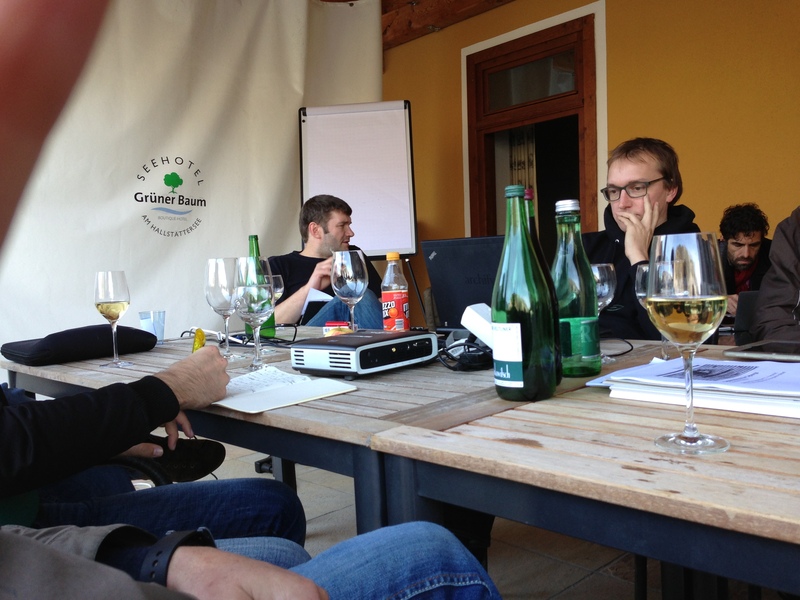 Last week I had the pleasure to take part in the Momentum13 symposium. Momentum is a conference series that aims at bridging the gap between the sciences and politics. Initiated by the EU politician Josef Weidenholzer and Barbara Blaha its main purpose is to integrate critical research, leftwing politics and practical experience to think about issues such as “progress”, the motto of this year’s conference. The 3-day event was organized in tracks focussing on various topics including gender equality, social movements, arts & culture, the future of work and politics, and technology & regulation – the track I moderated together with fukami; partly on a huge terrace by the lake with a decent glass of wine.. thanks for that! In our track we had heated debates on small technical details such as internet ports and exploit regulations and big societal questions relating to privacy, democracy and the future of the internet. But these two aspects, of course, closely relate to one another. Seemingly small technical decisions on the legitimacy or illegitimacy of a particular piece of code have largescale political consequences in terms of IT security and the stability of infrastructure we’re using day by day. And vice versa, broad societal developments and power relations influence the construction of information technology and the way the internet looks today. In a capitalist age for-profit companies like Google, for example, figure as central driving force in terms of technology development. The integration of more and more services in the web browser, for example, results in a black-boxing of technology. The less you understand your tools, the more dependent you are on their creators. Or, as fukami put it: “If you can’t break it, you don’t own it”. This, however, causes a couple of questions: Do we all need to learn programming to use the computer? (or how else would we be able to “break it”?) Or isn’t it the role of politics and law to set limits where limits are needed (e.g. data protection and the exploitation of user data by big US-American companies) and to protect us from harmful technology? Or is that an illusion in post 9/11 societies where extensive surveillance has become a central interest not only of companies, but also of nation states around the globe? And what can we do about all that? How can we regulate Google, Facebook, Twitter and other tech companies that increasingly shape our information universe, social relations, and political discourses, as we’ve seen in our track in presentations on Twitter politics and data journalism? What role can technology funding play in regard to the steering of information technology? How can we make legal practices more transparent or measure – and promote – open data strategies; or “open everything”? What kind of copyright is feasible in times of file-sharing platforms and how can data protection be secured in companies aiming at full-scale observation of employees? How can we manage risks? Those types of questions were discussed in our track. However, those are also the types of questions that future decision-making processes in the field of technology and society will be concerned with. Negotiations of the new EU data protection law, for example, will serve as an interesting test case for future technology development and socio-political agendas. How this negotiation process will end remains to be seen. That both lobbying on parts of internet businesses and the NSA scandal will be crucially influencing the reform process seems to be clear by now. Or, to cite fukami again, “we should thank Snowden” since his leaks have not only shaken up civil society, but EU policymakers too (hopefully!). 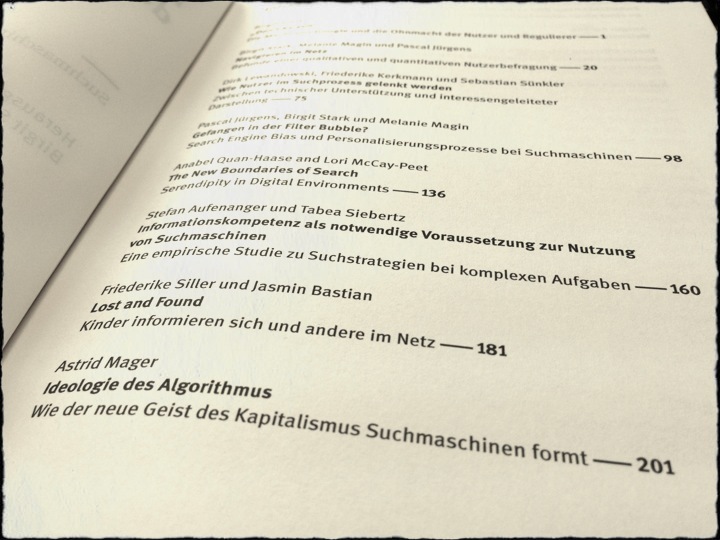 Our track discussions were accompanied by good food and great evening events, such as the keynote by Robert Pfaller or the book-reading by Kathrin Passig. Unfortunately, I missed the huge party that took place Saturday night and the Sunday evening matinee. But I’m sure that was fun too! Next year’s conference will be focused on “emancipation”. I highly recommend going there! (and not only because of the scenic location). More information can be found on the Momentum website (including info on the journals Momentum Quarterly and Momentum Policy Paper). 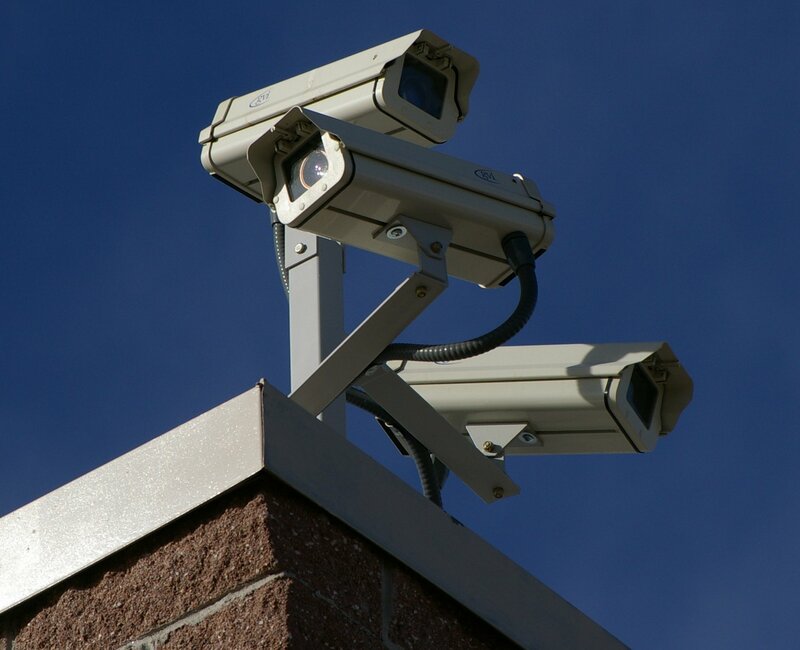 First, digital surveillance is almost seamless. As Markus put it: “We are surveilled not once or twice, but various times”. Combinations of data from cell phones, surveillance cameras, credit cards, and digital tools like search engines and social networks make it hard to escape from your own data body. The data points we leave are simply too many and too heterogeneous. Here, I agree with Manfred Kreissl: “We are leaky containers”. And, finally, even if people are discontent with the current surveillance state, why should it be the responsibility of the individual to fight a system that even politics and regulations seem to face with powerlessness? And how could we even step out of these powerful networks of surveillance? A quote by Scott Lash came to my mind when cycling home from the discussion: “The point that this book has tried to make is that we can no longer step outside of the global communication flows to find a solid fulcrum for critique. There is no more outside. The critique of information is in the information itself.” (Lash 2002: 220). Lash’s Critique of Information may be seen as an explanation for the digitization of political action. Even politics has become a matter of mouse clicks. Signing an online petition, liking a political group, sharing a critical initiative, all that is political engagement these days. The good thing though, and I think that’s something we should not forget, is that also new social movements are emerging from these activities, Occupy Wall Street, the Arab Spring (whether successful in the end or not), or Uni Brennt have (also) been organized online and have ended on the streets. So what I’m trying to say, I guess, is that things are more complicated than they seem at first sight. Of course, surveillance states, Google, Billa and other players are spying on us and (ab)using our data and that’s bad. No doubt about that. Blaming them, however, is not enough in my view. Rather, it’s important to understand power relations and dynamics that are stabilizing them. Political decisions, media debates, but also our own behavior that is essentially feeding their power. Only then proper ways out may be found. Ways out that may even be digital. Times have changed since 1968 and so have we. This is a great project! The online game DATA DEALER playfully deals with practices of user profiling, sellout of private data, privacy violations and all the other issues companies like Google, Facebook and other for-profit IT companies raise with their advertising-based business models. In the article Algorithmic Ideology I’ve shwon that the power of search engines (and social media platforms, &&&) is enacted and stabilized in a complex network of actors and social practices. I’ve argued that it’s not enough to blame Google (and other companies) for making profit and having gained a quasi-monopolist position on the internet market. Rather, it’s important to understand how various actors including programmers and business men, but also policy makers, journalists, jurists – and last but not least – users help to stabilize its powerful role by simply using their services and contributing their data to the sophisticated caplitalist accumulation cycle. Accordingly, critically examining and debating business models and practices of Google, Facebook & co is a valuable first step on the long road towards a better understanding of new media services and, ultimately, a change of existing and future practices, products and privacy settings. The reform of the EU data protection law, for example, is a long and winding endevour. Playing, supporting, and sharing DATA DEALER, on the contrary, is a quick move enabling us to think about and raise awareness on the matter. And it is fun too! If you wanna join the undertaking go to their website, watch their video trailer, install the demo version or donate money. They’ve managed to raise $50 000 via crowdfunding just recently. I’m sure they’ll manage to create an awesome – non-profit (!) – online game! Good luck!!! Before I took off to Greece (two weeks of internet absence – yay!!!) I participated in a net politics convent of the Austrian civil society organized by the World-Information Institute, Vienna (participants from activist groups, research institutes, arts & culture, technology experts, engaged citizens; supported by servus.at). The primary aim of the gathering was to formulate claims in the context of net neutrality, data protection and privacy rights, open data and open knowledge and, finally, copyright. The claims are directed to Austrian politics. The time is right now since all parties have started campaigning for the elections in fall. Net political issues should be part of their strategy! And there is much to discuss as the vivid debates at the convent have shown! It was not easy, but we finally came up with three straight claims per issue that are summarized below (in German). For more in-depth information on and discussion of these claims go to the convent’s website. If you wanna support our claims, please sign the petition here and share it widely – via Facebook, Twitter or old-fashioned email and word of mouth! Das Netz muss öffentlicher Raum sein! Durchsetzungsfähige Behörde für Informationsfreiheit und Datenschutz! Transparenzgesetz und Öffnung der Datenbestände des öffentlichen Sektors! Freier Zugang zu wissenschaftlicher Forschung und Produktionen aus öffentlichen Mitteln! Freie Verfügbarkeit von Lehr- und Lern-Unterlagen öffentlicher Einrichtungen! Ausweitung der freien Werknutzung (z.B. Remix) bei entsprechender Vergütung! Stärkung der Position der AutorInnen durch UrheberInnenvertragsrecht! Kürzere Schutzdauer, mit Verlängerungsmöglichkeit durch UrheberInnen! The conference-series “Momentum” is dedicated to the integration of academic knowledge and political practice and invites contributions from researchers, labor unionists, political practitioners and activists. Momentum is interdisciplinary, particularly open to submissions from young scholars and decidedly invites not only academic but also policy-oriented papers. The Momentum conference series has been launched in 2008 and is held in German (although English contributions are also welcome). The call for papers is open until the 19th of April 2013, the deadline for finalized papers is the 7th September. An overview of the ten thematically distinct tracks (democracy, economy, art, social movements, technology, feminism and more) may be found here. The symposium is led by Barbara Blaha, Josef Weidenholzer and their team. 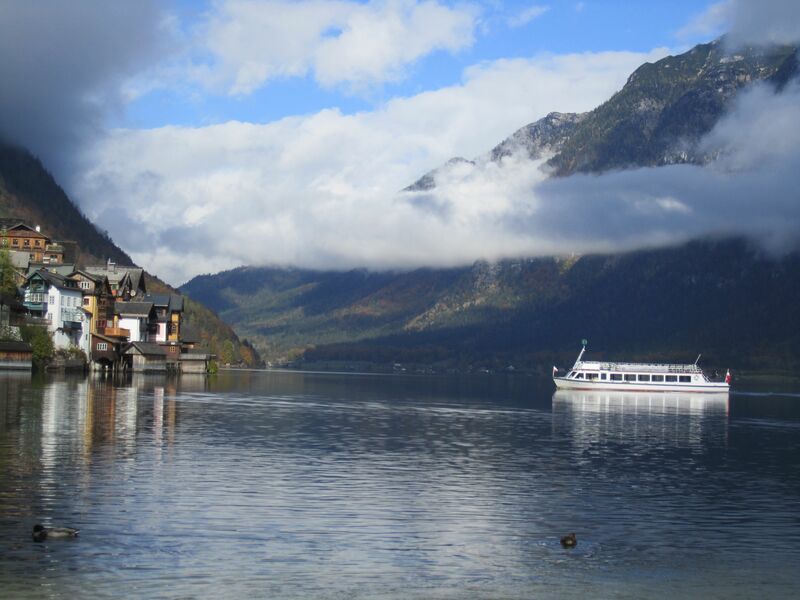 The location Hallstatt is scenic, as these pics show. Here’s the link to the upcoming radio broadcast dealing with the student initiative “europe vs facebook”. Since I gave an interview for the program, along with other “experts”, the broadcast will most likely contain one or two of my sentences It will go on air on Sunday, 10.02., at 22:30 pm; radio station Ö1. Or, alternatively, you could also follow the program online. I’m not sure if there’ll be a podcast available right after, but if so I’ll post the link. You’ll find more information on the program here. Last week we had a very lively discussion on new media – search engines and facebook – and privacy (see blog post below). Central questions were how these new online services use personal data to create profit, what privacy violations that involves, and how to meet these challenges with (EU) regulations and strategies of digital self-defense. It was a highly diverse, but really interesting combination of people on the round table including Johannes Juranek (CMS), Helmut Waitzer (Navax), Max Schrems (Initiative “Europa gegen Facebook”) und Markus Deutsch (WKO) and me. Check out the fotos & press coverage (e.g. APA Science & futurezone) of the event for more information! Next week I’ll be giving the “Impulsreferat” at the eBusiness Community Event organized by the Austrian Press Agency (APA). I’m already curious how the Austrian eBusiness community will react to my rather critical reflections on corporate Internet services and their business models. Guess it will be fun! Privacy: Wie Daten zur Ware und Währung werden. In etwa zehn Jahren werden digitalisierte Produkte und Dienstleistungen laut Experten weltweit für ein Viertel der jeweiligen Bruttoinlandsprodukte verantwortlich sein. Dieser Trend führt dazu, dass immer mehr persönliche Daten im Netz herumschwirren. Auf Unternehmen kommen dadurch große Herausforderungen zu: Sie müssen den Kunden wie auch dem Gesetzgeber nachweisen, dass sie für Sicherheit und Schutz der Privatsphäre sorgen. Schärfere Vorgaben in diesen Bereichen könnten den Entscheidern zusätzlich das Leben erschweren. Aber auch im Privatleben tauchen neue Fragen auf: Wie viele Identitäten, Accounts und Passwörter hat man eigentlich? Wie wird man künftig damit umgehen? Wie komplex ist es inzwischen, sein digitales Leben im Griff zu haben? Welche Szenarien gibt es für den Datenschutz der Zukunft? Globale Internetriesen wie Google, Facebook und co. spielen eine zentrale Rolle in gegenwärtigen online Praktiken von UserInnen. Gleichzeitig haben diese Akteure neue Geschäftsmodelle geschaffen, deren Grundlage zielgruppenspezifische Werbung; und damit Userdaten und deren Verarbeitung und wirtschaftliche Ausbeutung darstellen. Kommerzielle Internettechnologien können damit als Spiegel unseres kapitalistischen Wirtschaftssystems betrachtet werden. Diese Informationsökonomie hat drastische gesellschaftspolitische Auswirkungen, insbesondere auf historisch gewachsene und kulturell bedingte Bereiche wie Privatsphäre, Datenschutz und Identität. Globale Wirtschaft und lokale Gesellschaftspolitik stehen hier in einem interessanten Spannungsverhältnis. Welche Maßnahmen hier greifen können – von digitaler Selbstverteidigung, Privacy by Design, bis hin zu neuer Gesetzgebung – müssen wir lokal, EU-weit und global diskutieren, wenn wir die Kontrolle über unsere Daten in Zukunft nicht völlig an „den Markt“ abgeben wollen. Come along if you’re in town!